7 Potent Household Toxins That Could Be Lurking Inside Your Home Right Now! Looking around your home, it can be hard to believe that what looks so clean could still be harbouring potent household toxins! It can be even more challenging to realize many of those toxins are poisons you introduced into your own home space. Of course, this wasn’t intentional, but now these toxins are causing health symptoms that make home life uncomfortable, to say the least. In this post, learn about seven potent household toxins that may be lurking inside your home right now and learn what to do to get them out! According to the U.S. National Institutes of Health, dry cleaning contains some of the most potent household toxins, among them a volatile organic compound (VOC) called perchloroethylene, or PERC. Other names include tetrachloroethylene and PCE. PERC is colorless with a sweet odor. It is a known human carcinogen that can be particularly damaging to the very young, the elderly and unborn babies. PERC works by damaging your central nervous system and can cause a wide range of health symptoms. Symptoms can include dizziness, nausea, fluid buildup in the lungs, unconsciousness, trouble breathing, respiratory distress, vision problems, confusion and memory loss. It can also be fatal. Paradichlorobenzene, or 1,4-dichlorobenzene, is the active ingredient in mothballs, which means it is a potent pesticide. Mothballs are no longer as popular for household use as they once were, but it is important to know that in addition to mothballs, there are at least 30 other pesticide-type products that also contain paradichlorobenzene as an active ingredient. Paradichlorobenzene is most commonly absorbed when you breathe it in or absorb it through your skin. From there, it enters your bloodstream, fatty tissues, major organs and (if you are pregnant or nursing) breast milk. Health symptoms after exposure include dizziness, nausea, vomiting, headache, fatigue, vision problems, respiratory issues, skin burning and damage to the liver and kidneys (especially in pets). 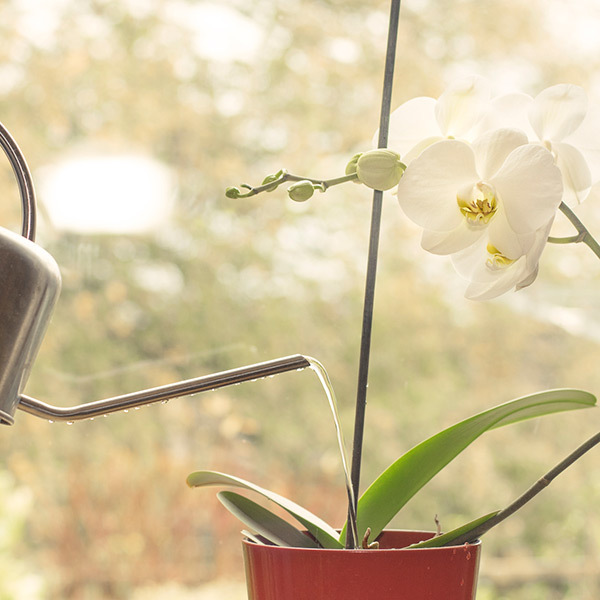 While it can be hard to believe at first, over-watered houseplants can be one of the main sources of mould spores inside your home! Symptoms of mould exposure can include respiratory distress, increased allergy and asthma attacks, trouble breathing, coughing, skin irritation and wheezing. It is a common misconception that pet shedding is what causes pet-related allergies. But actually, it is a protein that pets produce through the saliva, skin and urine that causes the allergic response. In dogs, these proteins are called Can f 1 and 2, and in cats, the protein is called Fel d 1. This protein adheres to shed hair, where you then absorb it through your skin and inhale it while you are cuddling with your pet or cleaning up shed hair. Pet allergies can cause increased asthma attacks, swelling and itching of eyes and nose, respiratory distress and irritation, skin irritation, coughing, wheezing, shortness of breath and trouble breathing. The U.S. Agency for Toxic Substances and Disease Registry reports that formaldehyde is typically present in small quantities in nearly all homes. If someone in your family smokes or uses tobacco products, if you have recently added new furniture or completed a home remodeling project, if you use gas appliances or there are any carpets or manufactured wood products in your home, you may have higher concentrations of formaldehyde. Symptoms of formaldehyde exposure include respiratory irritation, breathing problems, skin irritation, increased asthma incidents or worsening COPD (chronic obstructive pulmonary disorder). Ongoing formaldehyde exposure at higher levels can cause cancer. Radon is a naturally-occurring radioactive gas that seeps up from the surrounding soil and into your home. According to Health Canada, radon can be present in small amounts in many homes. Radon is most damaging when inhaled and can be more harmful to children than adults. Smokers of any age are most at risk, since radon can increase the incidence of lung cancer. Radon itself is colourless and odourless. The only way to detect radon is to have a test done. For all homes built prior to 1960 in Canada, there is a risk of lead exposure from both interior and exterior paint. If your home was built between 1960 and 1990, there is a risk of lead exposure from exterior paint. For homes built after 1990, Health Canada states there is a very low risk of exposure. Lead is naturally present in the earth, but typically you won’t feel any health symptoms unless you are using products that contain lead or you have lead-based paint or products in your home. Symptoms of lead exposure include damage to an unborn baby and to young children’s development. Lead impacts the nervous system, brain, blood and kidneys. Vomiting, diarrhea, coma and death are possible impacts of lead exposure. The best way to start clearing toxins out of your home or workplace is to schedule an indoor air quality test. This silent 72-hour indoor air quality test will tell you precisely which toxins are present in what quantities in your indoor space. Next, you can take immediate action to begin cleaning up your indoor air supply by scheduling an indoor air duct cleaning. This will safely remove trapped toxins from your air duct system, effectively preventing them from recirculating further throughout your space. From here, we highly recommend installing either a HEPA filtration system or an ultraviolet purification system to catch remaining particulate matter, volatile organic compounds, mould and mildew spores, bacteria, fungi, viral matter and pollutants that may still be trapped inside your home or office. Is someone in your family struggling with increasing health symptoms and/or allergy or asthma attacks? Household toxins may be to blame! Contact us online or give us a call at 905-544-2470 to schedule your indoor air quality consultation today! Right now, save 10 percent on all of our value-added indoor air duct cleaning packages (offer is good through July 31, 2018). 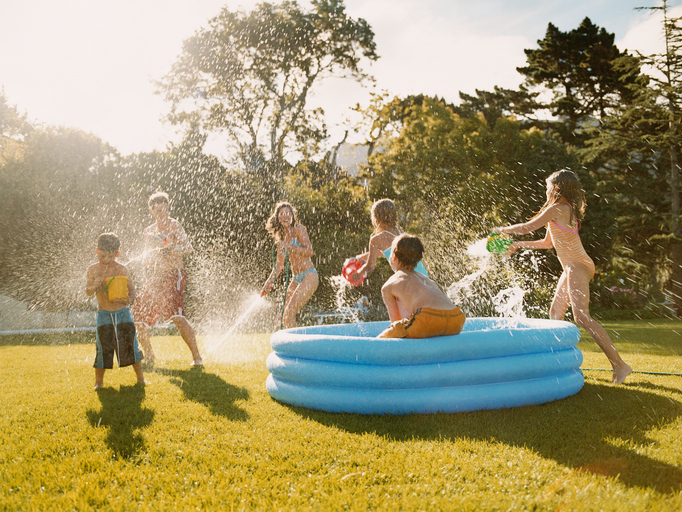 How Indoor Air Quality Testing Could Save Your Summer! Every year, it can seem like the allergies just get worse. The moment you step outside, your head starts to hurt, your nose begins running and your lungs fill up with gunk. But then you quickly head back indoors and wait for the symptoms to subside, only to discover they are getting worse. What is going on? The trouble starts when toxins circulating in the air outside find their way inside. Often, the irritating particles, such as pollen and mould spores, hitch a ride on our hair, skin, shoes and clothes. At the same time, we are constantly introducing equally potent toxins into our indoor air without even realizing it. Here, cleaning products, candles, personal care products, tobacco and wood smoke are all common contaminants that build up in our indoor air. Before we know it, we can’t seem to find any relief from the ongoing respiratory symptoms that are running our lives and ruining our summer. What can you do to break this cycle? Well, it all begins with indoor air quality testing. Read on to learn what steps to take to feel better fast! There was a time not so many years ago when indoor and outdoor air weren’t very different. Homes were not built to be airtight, which meant inside air was constantly seeping out and outside air was constantly drifting in. But all that changed with increasing concerns about energy efficiency and fuel conservation. Suddenly, builders were tasked with delivering “airtight” homes that kept the temperature-controlled air in and all the rest out. Air circulation and ventilation between inside and outside ceased, and toxic indoor conditions began to surface. Air quality testing aims to discover the type and concentration of the toxins circulating in your indoor air supply. The test runs for 72 continuous hours, taking a fresh indoor air sample every 60 seconds. Throughout the testing period, the equipment is continuously analyzing for the presence and concentration of pollutants. At the end of the test period, results are delivered in a multi-page, full-color printout, complete with charts to help you visualize the quality of your indoor air. From there, we can work together to identify pressing risks and design solutions to eradicate those risks going forward. Where Do Indoor Air Toxins Hide? The concentration and type of indoor air toxins may be different depending on where you are in your house. Formaldehyde, volatile organic compounds, carbon dioxide, carbon monoxide, cooking smoke. Carbon monoxide, pesticides, herbicides, insecticides, volatile organic compounds, carbon particles. Asbestos, dust and dust mites, formaldehyde, nitrogen dioxide, carbon monoxide. Radon, mould and mildew spores, bacteria, fungi, dust and dust mites. Pesticides, insecticides, herbicides, pollen, mould and mildew spores. 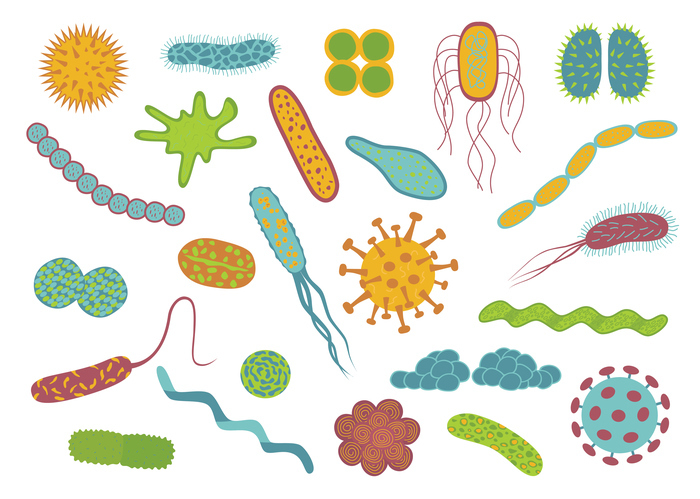 Mould and mildew spores, bacteria, fungi, viruses, volatile organic compounds. Carbon monoxide, carbon dioxide, tobacco smoke, volatile organic compounds, pet dander, dust and dust mites. Carbon dioxide, tobacco smoke, volatile organic compounds, pet dander, dust and dust mites. What Kinds of Symptoms Do These Toxins Cause? We find that clients typically contact us asking for indoor air quality testing for one of two reasons: 1) they have read about increasing indoor air toxicity and want to be sure their family is safe, or 2) they are having recurring health symptoms at home and have started to wonder if air quality is causing these symptoms. Carbon monoxide (CO) is known as “the silent killer.” This gas is odorless and colorless and as it moves into the body, it blocks further oxygen intake. It is most commonly released as a by-product of running stoves, heaters, appliances and vehicles. CO can cause headaches, confusion, exhaustion, dizziness, nausea, fatigue and, in very little time, can be fatal. Nitrogen dioxide is released when using gas or kerosene appliances, heaters, water heaters, stoves and vehicles. Health symptoms can include respiratory irritation, shortness of breath, an increase in asthma attacks, or respiratory infections and bronchitis. Radon is a naturally occurring radioactive gas that is more concentrated in certain areas. It can seep up into your home through the surrounding soil, causing lung damage. Radon is the second most common cause of lung cancer in Canada. If you use any appliance powered by kerosene, you likely have sulfur dioxide in your indoor air. This gas is irritating to the respiratory system and eyes. These are too numerous to name individually, but can cause a wide range of health symptoms including headaches, dizziness, nausea, skin rashes, respiratory and eye irritation, fogginess, exhaustion and similar symptoms. With the results of your indoor air quality test in hand, it is time to clean up your indoor air! Options include scheduling an indoor air duct cleaning, installing a HEPA air filtration unit, installing an ultraviolet air purification unit, installing a heat recovery ventilator, or some combination of these options. It is important to know that you don’t have to invest a great deal to enjoy a measurable improvement in indoor air quality! Air filtration and purification appliances can be retrofitted to work with any existing ducted cooling and heating system. For non-ducted systems, portable versions of the same are available. Don’t spend another summer buried in a handful of tissues! Contact us online or give us a call at 905-544-2470 and get started on the road to optimal indoor air quality right away! Air duct cleaning sure doesn’t sound very glamorous. It’s not the kind of thing people tend to add to their bucket lists. But when you learn about all the things an air duct cleaning can do to protect your health and home, it is easy to see how cleaning your air ducts can support you to tackle all those bucket list goals with renewed energy and zeal! We have now entered the height of Canada’s summer season. It is hot and humid. There are allergens lining up to snag a place inside our sensitive respiratory passages! You don’t have a lot of natural defences against airborne allergens, especially once they have taken up residence inside your air ducts, where they will continually circulate through your indoor air as your air conditioner cycles on and off. But there is one ally that can eradicate all of those airborne toxins, giving your immune system the head start to help you enjoy the rest of Canada’s warm summer season—allergy and illness-free! In brand-new, airtight construction homes, debris may be hard-pressed to sneak inside the air duct system. But in older homes, where airtight construction was not a priority and air ducts have begun to age, you can bet there is plenty of debris already trapped inside the ducts. During certain seasons each year when humidity levels are naturally elevated, mould and mildew spores that find their way inside your air ducts will discover a welcome spot to start new colonies. From there, these colonies can send out additional spores to colonize other areas of your home as well. Dust mites are one of the most prevalent airborne toxins in the average home. They love to hide in the carpet, couch cushions, pillows and inside your air ducts, where they feed on a lovely diet of dead skin flakes and other biological matter—and there is plenty of it trapped in your air ducts along with them! Once they feed, they eliminate their waste, which also gets trapped inside your air ducts and then recirculated in your indoor air supply. Canada has four distinct allergy seasons. To add insult to injury, global news reports show that the Canadian allergy season is getting longer annually, meaning we have it pretty much all year. Pollen can travel inside with you on your hair, clothes, shoes and skin. It can also come from inside your home if you keep pollen-producing houseplants or flowering bushes inside. Once it gets into your indoor air supply, some of it inevitably gets trapped inside your air ducts and pushed back out repeatedly as your HVAC system cycles on. It isn’t too much of a stretch to see how securely vacuuming out trapped dirt, dust, dust mites, pollen, mould and mildew spores could eliminate many of the chronic allergy and respiratory symptoms you experience during the year. From headaches and trouble concentrating to runny nose, watery eyes and scratchy throat, respiratory issues can make relaxing at home difficult, to say the least! Over time, your entire air duct system will inevitably become burdened with excess trapped debris (to see just how much debris can accumulate inside a neglected air duct system, watch this eye-opening video tour)! In the same way, your HVAC unit itself can get quite dirty, especially if you’ve been a little forgetful about changing your filters regularly. The dirtier and dustier your furnace and air conditioner become, the harder they have to work to do their jobs and the more you will pay in energy. Cleaning out your whole HVAC system, including the air ducts, can produce a measurable decrease in your monthly energy bills. It nearly goes without saying that once all those trapped toxins are vacuumed out of your air ducts and your duct system is resealed, they are GONE. You will start to breathe more easily and clearly. Your sleep will likely improve as your allergy symptoms are reduced. For anyone in your family who struggles from chronic allergies or asthma, they can look forward to improvements in their symptoms. Best of all, you will now have a reliable refuge from the ever-worsening air quality issues our planet is facing. And that refuge will be your own home! 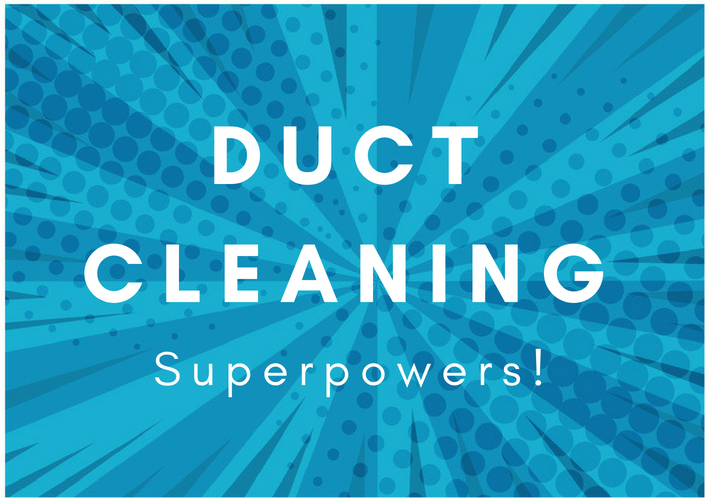 BONUS: Meet Air Duct Cleaning’s Trusty Sidekick, Air Purification and Filtration! Our professional indoor air duct cleaning will reset your entire indoor air duct system, leaving it as clean and clear of toxins as the day it was installed. But what happens once those toxins start sneaking into your indoor air supply again? Sure, it will take time for the debris to build up again inside your air ducts, and you may not notice the effects of this fresh buildup for months or even years. But when you retrofit your HVAC system to work together with an air filtration system or an air purification system, you will never again have to worry about airborne toxins invading your indoor air! HEPA-rated air filtration systems can trap airborne particulate matter with 99.97 percent efficiency down to the size of 0.3 microns (1/100th of a single human hair). And ultraviolet-C air purification systems will neutralize particulate matter in its tracks. Are you ready to bring in the big guns and end your indoor air quality issues once and for all? Contact us online or give us a call at 905-544-2470 to schedule your free indoor air duct cleaning consultation and save 10 percent on the package of your choice!